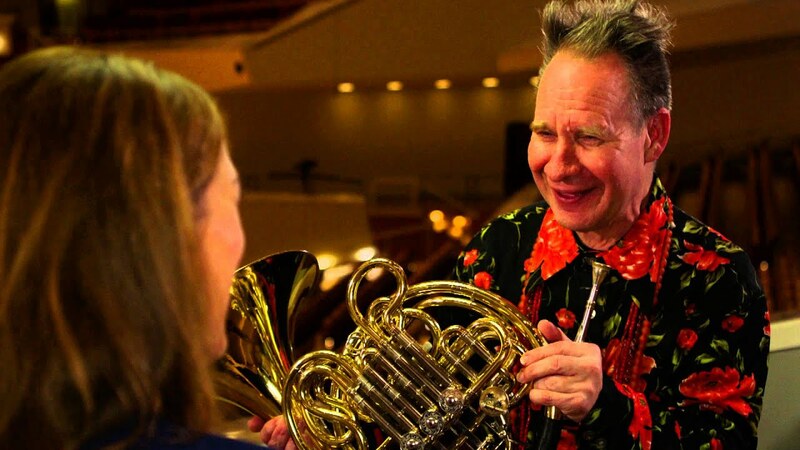 The American opera director, Peter Sellars, is simply one of the most inspirational people I have ever met. When I researched his life and work in more detail for this interview, I became even more star-struck. Peter knows so much, has done so much, is so widely honoured and respected and is such a pleasure to work with. My orchestra, the Berlin Philharmonic, recently performed Claude Debussy’s opera ‘Pelleas and Melisande’ in the Philharmonie in Berlin . The Philharmonie is of course a concert hall, not an opera house, but Peter staged this opera especially for us and, as you will see in the programme, he used the whole hall to spectacular effect. This was one of the most special projects I have worked on in my time with the Berlin Philharmonic – Peter placed the singers all over our concert hall which created a whole new listening and visual experience. If you can, I really recommend watching ‘Pelleas and Melisande’ on the Berlin Philharmonic’s Digital Concert Hall. (www.digitalconcerthall.com). Once logged in, also have a look at Peter’s staging of J.S.Bach’s St. Matthew and St John Passions with the Berlin Philharmonic. Sir Simon Rattle described the St Matthew production as “ the single most important we ever did here”. I absolutely agree – there are no horns in the piece so I had the pleasure of being in the audience and watching it live several times. I had goosebumps practically the entire piece. Peter is a phenomenon – he is incredibly well read, taught himself to read music and knows his music inside out. He’s also known for his legendary hugs! The music world is lucky to have him and I was so happy he took time for Sarah’s Music.